Luv these bars can keep my kids from eating them. I eat these while I ride, taste great & didn't upset my digestion. By far the best recipe yet, easy to consume when you really need it but just can't stomach another sweet thing. I get tired of all the sugary GU and energy bars at the end of a really long ride, the Nuts & Seeds mix still tastes good at those times. Just the proper mix for my pallet. Great bonk buster, and they taste great also. 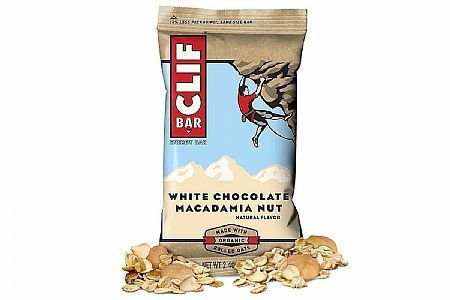 Great snacks for on the trail or on the bike. I carry Cliff Bars when I am biking for extended miles. Fits nice and flat in my jersey, tastes good and is better nutriion wise that others. Great biking bar. Tastes good, filling and one of the better nutrition bars. New Sierra Trail is the best. I eat Clif Bars every day, before, during and after trainin or racing. I dont care about the flavor,because I like all of them. I do endurance cycling and running. My mentor tells me a need to take in about 200 calories per hour on runs and rides over an hour. These Clif bars do a perfect job for me: easy to eat, no indigestion, good energy boost. The Chocalate Brownie version is one star down only because I like the Clif flavors that are frosted with a sugar coating a bit better. My whole family loves them!!!! !